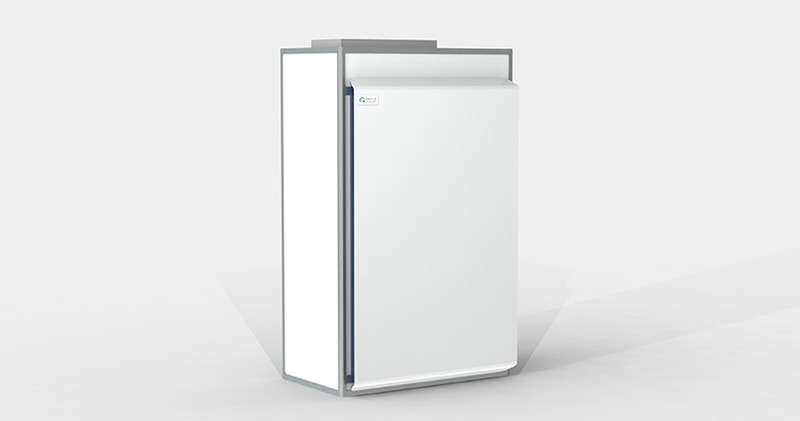 QleanSafe is an air cleaner specially developed to solve a major challenge facing modern healthcare within high-risk infections. Very high cleaning requirements must be combined with high air flows while also considering the well-being of patients. The ability to rest and sleep is of utmost importance, so the air must be cleaned at unprecedentedly low noise levels. 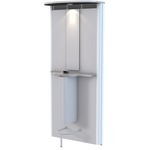 QleanAir Scandinavia has developed the QleanSafe air cleaner specifically to meet stricter air cleaning and air circulation requirements while allowing patients to sleep. 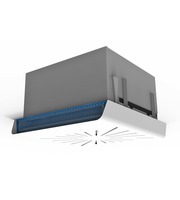 In an average size ward, QleanSafe cleans the air well below 30 dBA. This is an impressively low level that is comparable to low-noise activities such as whispering or a slight breeze. The HEPA H14 filter QleanSafe maintains a very high purification level, and the product is well prepared to meet even the toughest healthcare sector requirements. 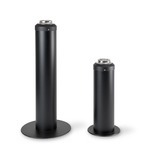 The unit also has a very large air circulation capacity in several operating modes (Stand-by, Normal, Speed-up and Turbo) to meet the desired balance between airflow and noise. The units exterior surfaces are made of hard, inorganic material to simplify exterior cleaning. Including alarm communicating to a central control unit. The unit can be turned off manually. Today, a great focus is placed on the quality and health effects of what we eat and drink. At QleanAir Scandinavia we believe this should also be the case for the air we breathe. During an average day, a person typically spends 80 % of their time indoors, consumes 1 kg of food, 2–3 kg of fluid and breathes 20–30 kg of air. Bad air quality affects the personnel's health and ability to perform. Need to upgrade an existing smoking room? 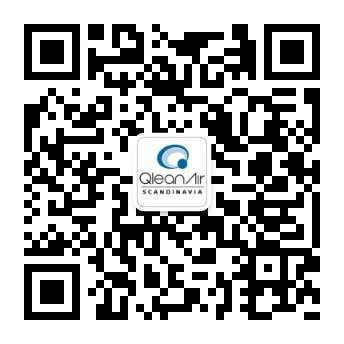 The QleanAir filtration system cleans the air from cigarette smoke. 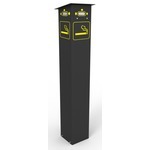 Combined with our patented ash handling systems this will make a significant improvement of the air quality at your existing smoking facilities and in the surrounding areas. Take 10 minutes and ask an expert to find out how your business will benefit from clean air. Fill in your info and an expert will get back to you!